Not everyone can get internships while they are still in college. The competitive market makes it hard for potential employees to get seen by recruiters. The resume creates a first impression for internship applicants. This document can either make or break a person’s chances of getting an interview. If you really want to use your resume wisely, you need to know how best to format this document to catch the eye of an employer. Jumbled fonts and mashed formats make a document impossible to read, but a well-thought-out layout can send a file to the top of the list. Whether you’re a resume-writing novice or pro, you can use engineering internship resume templates to help you create an easy-to-read format. Read through the rest of the tips on this page to ensure your content matches your layout in strength. Why Use Engineering Internship Resume Templates? Templates give you the foundation you need to craft a good-looking, easy-to-read document in little time. Having a scannable resume means you have a better chance of passing the initial six-second review most recruiters give applications. As an entry-level employee you have a short job history, and it is likely not related to whatever position you are trying to get now. Instead of focusing on what qualifications you don’t have, you need to incorporate an internship-appropriate layout that looks at your transferable skills gained through college courses, sports competitions, and summer jobs. Contemporary engineering internship resume templates stand out because they use pops of colors and columns to create a newspaper-like feel for the document. Before you decide to create a document using a contemporary approach, consider the personality of the company you plan on sending the resume to. If the business values originality, this layout may fit your needs well. 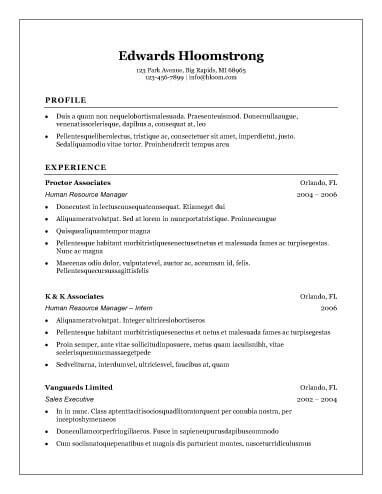 Most resumes for internships have a single page. Applicants for this type of position tend to have little work experience, so they don’t need a lot of space. As you search through engineering internship resume templates, it shouldn’t surprise you to see a plethora of single-page options. Though the one-page layout works well for internships, even experienced workers can utilize this concise format. Engineering tends to stay on the scientific side of the job industry more than the creative side. This means you should use simple, clean formats to ensure your work experience, education, and skills hold the focus of recruiters. 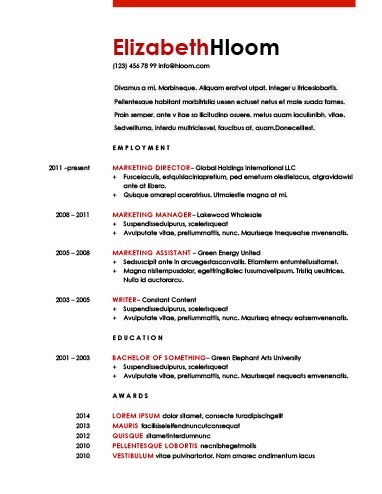 Engineering internship resume templates in this category usually use a black-and-white color palette, short paragraphs, headers, bullet lists, and small embellishments. As you search through pages of engineering internship resume templates, you may start to feel bogged down. Looking through some of the most popular options available can help you figure out what design elements you like best for your own document. You might see different organization strategies, pops of color, or special graphics in use in these documents. Format and content have to work together to create an impressive professional document. Most of our engineering internship resume templates have the basic outline you need to ensure you include all pertinent information. However, you can go through our best writing tips to figure out what information you need in this document. Emphasize your name by using a larger font or incorporating a border embellishment. Include your first and last name. List the city and state you live in. If you want, you may include the rest of your mailing address. Use a professional email address. If your only address seems unprofessional, like [email protected], consider getting a new email. Include your cell or home phone number. You don’t have to include a work number. Think about your work history to decide what type of opening paragraph you should use. Employers expect to see summary statements, but an entry-level employee or someone changing positions may use an objective statement instead. Create a summary that emphasizes your most important and relevant experiences, skills, and accomplishments. This paragraph should focus on what you can do for the employer. Build an objective statement that describes what you want to gain from the position. Simply saying you want the job won’t catch the eye of the recruiter. Think about the skills and qualifications you have. Figure out which of those the employer wants to see in an intern by reading through the job posting. Compose buzzworthy, short phrases that relate to the sought-after skills from the description. Try to include only relevant abilities. Use a consistent format throughout this section. List the title of the position, the name of the company, and the dates of employment. Describe three to five impressive responsibilities or accomplishments for each job. Avoid using weak verbs that can make this section boring. Point out any higher education, even if you have not completed it yet. Include the name of the degree, the name of the university, and the graduation, or expected graduation, date. Mention pertinent courses, seminars, or workshops that might help you during the engineering internship. This type of info can beef up your education section. Getting help from a resume builder acts as a great foundation for creating an informative, engaging document.